When I take the camera to school, my friends love to play with it and they just pass around and each snap a few shots with it. So it turn up a lot of interesting photos in the memory card. Sometimes, I just bring it along for some personal work, but they just like to press on the shutter no matter what. 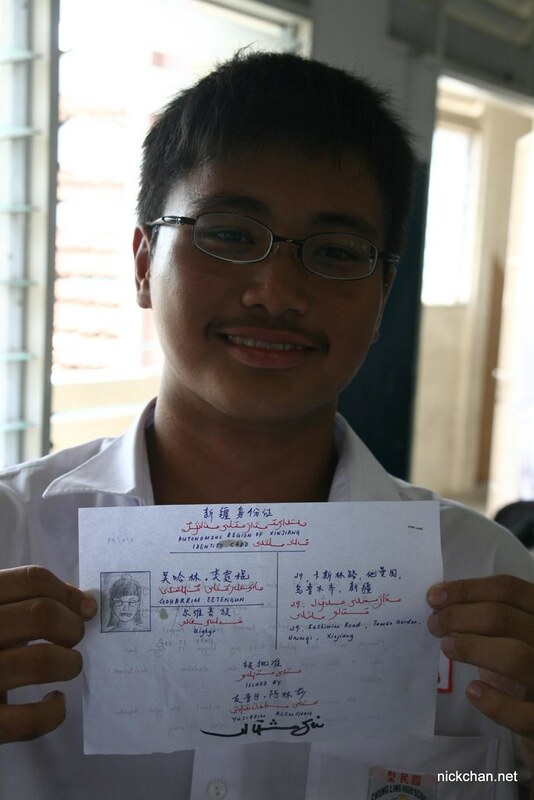 Ee Teng, the number one boy in the form, top student with his LOL Xinjiang’s ID. Very LOL right, with very cool Arabics word and translation. 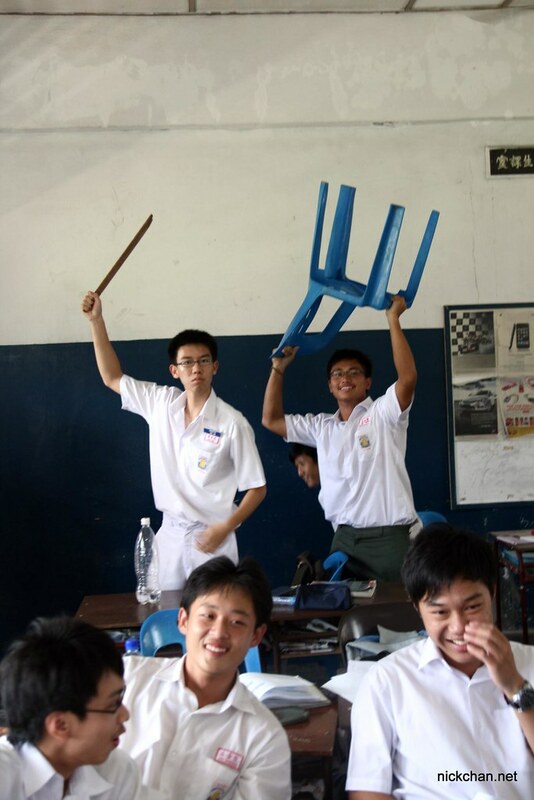 Xiang Foong, Jin Sheng and Tee Jin. have you updated your class 5SA1 the teacher’s day part 2?